University of Illinois (UI) researchers have developed mats of metal oxide nanofibers that more effectively scrub sulfur from petroleum-based fuels than traditional materials. Sulfur is the chemical element that made acid rain such a nasty event downwind from coal and oil burning facilities. When burned sulfur is reformed into toxic acids that persist a short time in the environment. Getting sulfur out of fuels or gathering it from combustion effluent is an expensive problem. Yet sulfur is in small amounts important to plant growth. That’s why it is a fertilizer component and why fossil fuel precursor plants concentrated it before hydrocarbons and coal formed. The late Mark Shannon, a professor of mechanical science and engineering at the UI until his death just this fall, and chemistry professor Prashant Jain co-led a study developing mats of metal oxide nanofibers that scrub sulfur from petroleum-based fuels that has been demonstrated in the journal Nature Nanotechnology. 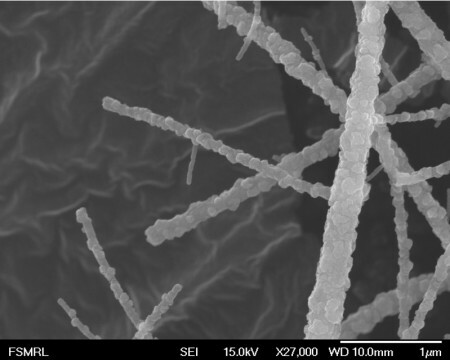 Metal Oxide Nanofibers to Remove Sulfur. Sulfur compounds in fuels cause problems on three fronts, releasing toxic gases during combustion, damaging metals and contaminating exhaust catalysts of engines and fuel cells. Sulfur is usually removed using a liquid treatment that adsorbs the sulfur from the fuel, but the process is cumbersome and requires that the fuel be cooled and reheated, making the fuel production process less energy efficient. The UI team solved the problems by turning to the solid metal oxide adsorbents, but those have their own sets of challenges. While they work at high temperatures, eliminating the need to cool and re-heat the fuel, their performance is limited by stability issues. They lose their activity after only a few cycles of use. The UI team knew previous studies found that sulfur adsorption works best at the surface of solid metal oxides. So graduate student Mayank Behl, from Jain’s group, and Junghoon Yeom, then a postdoctoral researcher in Shannon’s group, set out to create a material with maximum surface area. Their solution is tiny grains of zinc titanate spun into nanofibers, uniting high surface area, high reactivity and structural integrity in a high-performance sulfur adsorbent. The new nanofiber material is more reactive than the same material in the bulk unprocessed form, enabling complete sulfur removal with less material, allowing for a smaller reactor. The material stays stable and active after several cycles. Furthermore, the fibrous structure grants the material immunity from the problem of the sintering or clumping that plague other nano-structured catalysts. Hopefully the UI research will lead to lower costs in producing fuels. Ultra low sulfur content is one of the more recent government mandates that have driven fuel costs higher – something the research may help producers to reduce the retail price. Sulfur is a useful mineral, vital for plant and animal metabolism. Accurate application to farms and gardens is much better than broadcasting by acid rain. The IU research is welcome, useful and important. acid rain can also do so much damage to your roof and shingles if you do not protect them.